Back row, left to right: Nancy Freeman, RN, Lorraine Rodriguez, RN, Charlotte Zweifel, RN, and Isidro Urbano, RN. Front row, left to right: Melody Wright, RN, Katie Kolbeck, child life specialist, and Maria Santua, RN. The boat is the first thing kids notice when they come to the Pediatric Infusion Center at UCLA Mattel Children’s Hospital. Dina’s Beach, as the front-desk area is known, is named for a former patient whose family donated funds to make the infusion center a more enjoyable place for kids and parents. The tropical theme, complete with a boat-shaped reception desk that has portholes, helps take kids’ minds off of the fact that they’re at the center to receive medically necessary infusions. The Pediatric Infusion Center is the only facility at UCLA that exclusively performs outpatient infusions and central-line blood draws for children from birth to 21 years. Infusion services include chemotherapy, blood transfusions, biologic therapies and antibiotics. The center can provide infusion services for up to nine patients at a time. When the center gets really busy, Freeman gets help from pediatric nurses at Ronald Reagan UCLA Medical Center and UCLA Medical Center, Santa Monica. “The nurses love coming here because they get to see how some of their former patients are doing outside of the hospital,” she says. 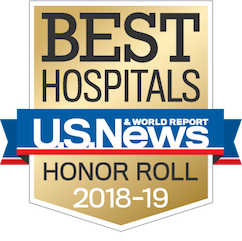 “It also gives us an opportunity to exchange best practices about what’s happening in the hospitals’ pediatric units and our infusion center. 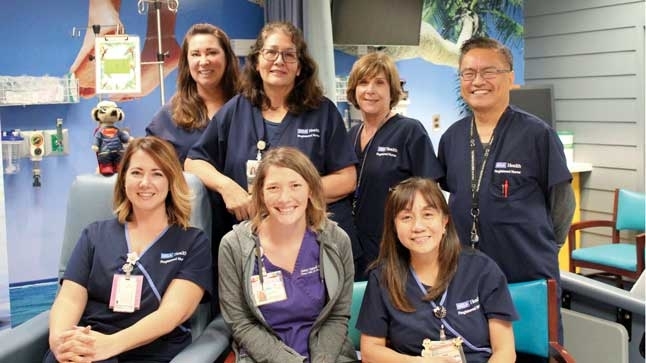 For instance, we might share strategies for helping a child who has a fear of needles.” The infusion center nurses also work one-on-one with nurses from other departments who are learning how to administer infusion therapies to children. Freeman says the families who come to the center always speak highly of the care their children receive. “We help alleviate some of the fear and make the experience as pleasant as possible for both child and parent,” she says.